Do you want something truly unique for a award or recognition piece we can help you create it. We work in a wide range of materials. 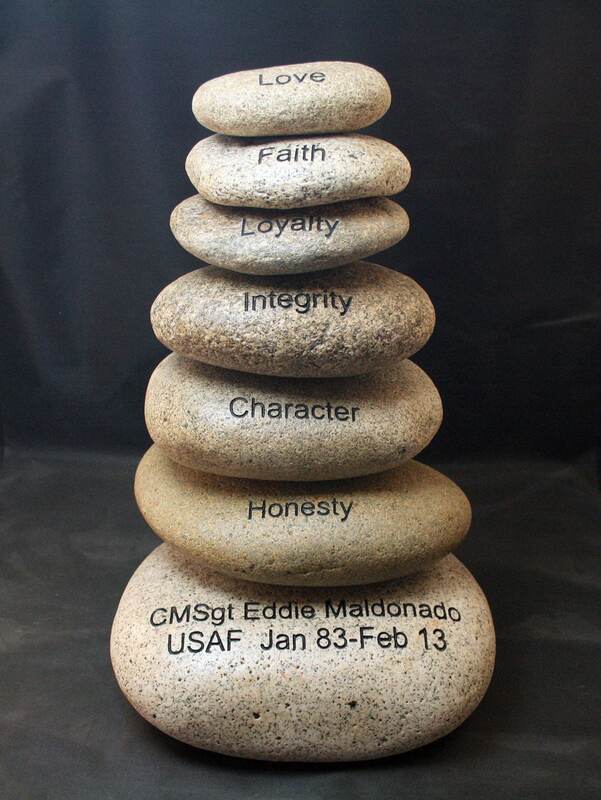 Here is a river rock cairn co-designed by use and the client.